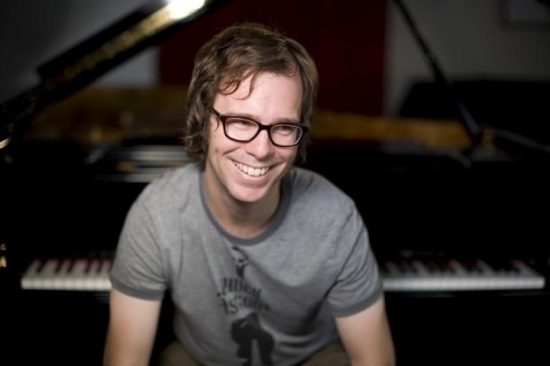 Ben Folds has announced a-yet-to-be-named new album and plans for a world tour which promises to make a few stops in Philadelphia this May. Folds collaborated with New York classical sextet yMusic and recorded the album in just two weeks. Folds says that the arrangements however are 'rock' and the album itself is a 'pop record.' yMusic will be touring with him and features piano, cello, viola, violin, flute/piccolo/alto flute, trumpet/French horn, and clarinet/bass clarinet (no bass or drums). Folds is no stranger to working with classical musicians, having just recently toured last summer performing in front of symphony orchestra with rearrangements of his own material. The tour will make it's way into Philadelphia with a small three-day, three-venue residency at the TLA (1,000 capacity) on May 11th, World Cafe Live (650) on the 12th and Temple Performing Arts Center (1,300) on the 13th. Tickets go on sale on Friday, March 13th at 10 a.m. online (linked above) and the venue box offices.